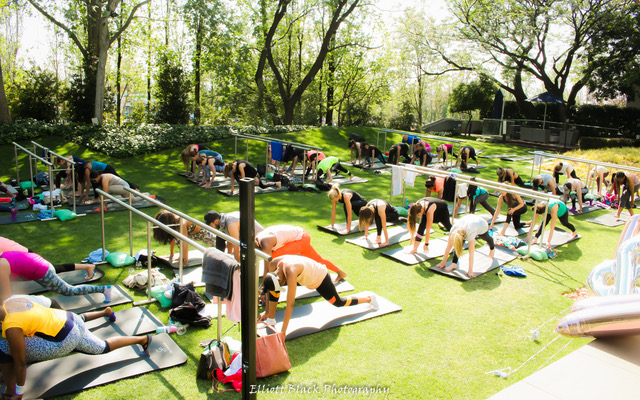 Warmer weather is coming and it is time to get those summer bodies ready, and what better way to do that, than with a barre workout in the beautifully lush gardens of The Maslow Hotel in Sandton, right? Taz Falconer who is the owner of Wisdom and Wellness, will be hosting two events that you want to put in your diary for sure! 18 November – Come and join in the fun for an open air Barre session on the beautiful lawns of The Maslow Hotel in Sandton. After your barre workout, you will be treated to healthy treats designed by the Maslow Chef. W+W Barre is a low impact training method targeted at the lower body and core, all fitness levels welcome. 9 December – Its the start of the festive season and Taz is stepping up her Barre event! Come and join in the fun for an open air Barre session on the lawns with some extra surprises . Grab your costume and lets move to the pool for an extended brunch menu and some poolside lounging! W+W Barre is a low impact training method targeted at the lower body and core, all fitness levels welcome. No ballet training required to participate, ages 18+.